Cuisinart have firmly established themselves as a key player in the Pressure Cooker industry. Specializing primarily in the budget-area of the market, Cuisinart have designed an extensive range of canners and cookers to suit the needs of household consumers. Better still, most Cuisinart Pressure Cookers contain stainless steel heavy duty materials which helps to reinforce safety while cooking under high pressures. Even though most Cuisinart Pressure Cookers retail for less than $100, we have found that the build quality and durability matches that of more expensive brands. Our Cuisinart Pressure Cooker Reviews 2017 give you all the information you need to make an educated buying decision. We have thus far reviewed numerous different models, such as the 01781, 01365, 01370 and the 01362. Within our Cuisinart Pressure Canner reviews, you’ll be able to see how we rate each pressure cooker, and how we feel it performs in comparison to other Pressure Cookers. Price; The price of the pressure cooker is perhaps the most important thing to consider. It’s important to weigh up features vs price, and determine which model is going to be best for you. Safety; Pressure Cookers are relatively safe devices, and many come with 10-year warranties. Be sure to choose a model which has all of the industry relevant safety certificates. Model Number; We mention model number because many Cuisinart models are years old and lack in features – but they still exist on the market. Always opt for the latest generation models. The below comparison chart summarizes our Cuisinart pressure canner/cooker reviews and allows you to easily compare all of the leading models. 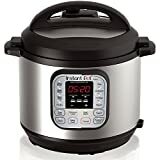 Cuisinart CPC-600AMZ $70-$120 4.8 Read Our Cuisinart CPC-600AMZ Review..
Cuisinart EPC-1200PC $70-$100 4.6 Read Our Cuisinart EPC-1200PC Review..